What’s to do when your plants, well nurtured with composting and organic fertilizer, are ravaged by mildew or other insidious fungi? Do you break open the chemical based fungicide and lay to waste your plans for an organic garden? For many, chemical fungicides are not an option since manufactured fungicides are sulfur based and largely toxic. If chemicals are out of the question there is no need to despair. There are plenty of natural and homemade alternatives to complement your organic garden. Surprisingly enough, household milk is an effective fungicide. A study by scientist Wagner Bettiol showed that diluted milk, applied regularly, greatly decreases mildew and mold in plants by up to 90%, which is competitive when compared to synthetic fungicides. The milk also acts as a foliar fertilizer providing salts and amino acids that essentially boost the plant’s immune system. 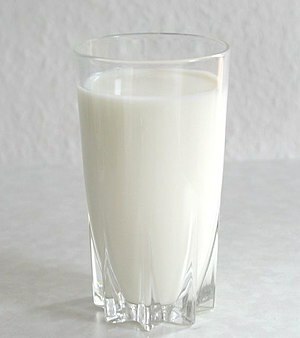 To prepare try diluting your milk by adding 1 part milk to 9 parts water. Apparently skim milk works best for this. Put the diluted milk in a spray bottle and apply to your plants once a week. This is the broken down chemical in cinnamon that is responsible for its taste and flavor. The synthesized version of this is made from steam distillation of cinnamon bark. Cinnamaldehyde is applied to the base of the plant and acts as a natural insecticide as well as a fungicide. Made from pressed fruit and seeds of the neem tree, neem oil has various applications. It is widely used in India for medicinal purposes and as a bio-pesticide. Neem oil does show some toxicity and should not be consumed. This oil is harvested from jojoba seeds. Commonly used as a replacement for whale oil, jojoba oil is also an effective fungicide that is also non-toxic. Another home remedy for fungi is just baking soda. Make this mixture with 4 teaspoons baking soda, 1 teaspoon dish soap and a gallon of water. Be sure to spray the concoction on both sides of leaves. Fungicides usually entail a cocktail of chemicals to spread on your garden that can also be hazardous to your health. That is why the Worker Protection Standard requires limited exposure and protective equipment for field workers who spray fungicides. Exposure causes various skin and health problems not to mention the effect on your garden. The runoff of these chemicals kills soil life and seeps into the groundwater. Of all the natural alternatives, milk is the cheapest and most accessible, which sparks an age-old debate between half and half and skim milk. Half and half is creamier. But skim milk makes a better fungicide. Regardless of your preference, even if you like your coffee black, it’s pretty cool that you can nurture your garden with coffee grounds and plain old milk. Matthew Sommer writes about sustainable businesses. Tags: Cinnamaldehyde, Fungicide, jojoba oil, Milk, Neem oil. Bookmark the permalink. A blended Onion and 3 garlic cloves per gallon of water works surprisingly well as a fungicide and pesticide I have found. I Use it regularly on my curcurbits, particularly useful if you have to grow undercover. Wow thank you, will be giving that a try. Hello. I’ve just been using chamomile tea to water in some newly planted seeds. I’m hoping that it will assist with germination and deterring damping off fungus. I read that chamomile is a good natural anti-fungal due to its high sulfur content. I wonder if skim milk would work for seed germination too? Hi Sasha. I don’t think skim milk is going to be useful for germination, but chamomile is worth a try. You can also sterilize the potting mix before getting the seeds in there – have done that before and it does help. I used a watered down milk solution sprayed on Peonies and Roses with powdery mildew, and consistently removed affected leaves, have never had a problem since. It was very dry this year, I am sure that helped. Some roses still have leaf spot, still working on that. Great tip thank you. I did try milk on snowpeas and found that worked also. Since sufur occurs naturally,(eggs, sulfur springs, etc.) how is it toxic when used in the proper amount? Hi JoAnn. If you feel that you need to buy a chemical fungicide over something you could make for yourself, then please go ahead and use it according to the proper amount. All I know is that I eat eggs – can’t say the same for whatever that is. There are many different types of sulfur compounds. The sulfur in eggs is part of amino acid in protein and is broken down into rotten egg gas (H2S). On the other hand SO2 is the gas from volcanoes and forms sulfuric acid when combined with water. It’s an antimicrobial and is common in wine and beer and causes problem especially for people with asthma. Onion sulphur compounds that make you cry are down the same path! wow what a great tip to use milk over plants. Will absolutely give that a try. Great to hear that Matthew. Send me an email and let me know how it goes for you.